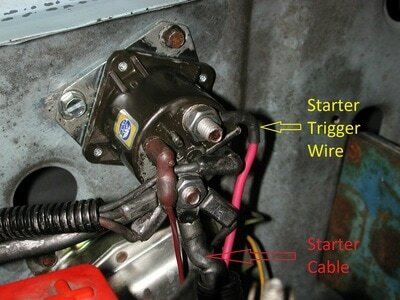 How to install a Permanent Magnet Gear Reduction starter on a 1980 - 86 Ford truck. PMGR stands for Permanent Magnet Gear Reduction, and these starters are smaller and more powerful than the original style starters that came on these trucks. But, there's another feature that sets them apart from the standard starters - they have a relay built-in. And, if the truck is wired to take advantage of that, the current flow through the fender-mounted relay is dramatically reduced. 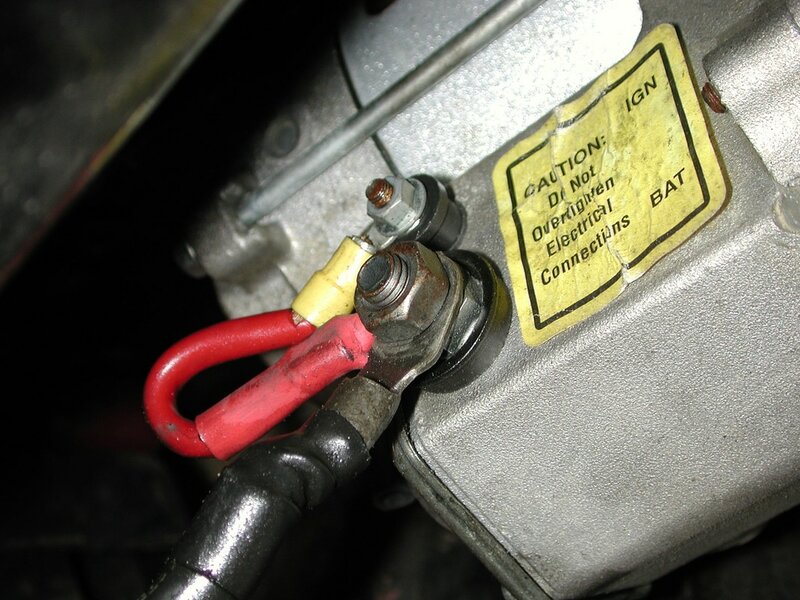 As the 1980 - 86 Ford trucks were originally wired, the relay (aka solenoid) gets 12v in on the Ignition Switch wire in the diagram below (borrowed from this page on FSB), and the relay then bridges the Battery Cable to the Starter Cable terminals, spinning the starter. But, since a PMGR starter has its own relay we can move the Starter Cable to the battery side, as shown in the bottom diagram, and run a smaller wire from the output of the relay/solenoid to the small terminal on the starter. Or, you could run the starter cable directly to the battery, in which case the positive battery cable to the relay/solenoid could be made smaller since it won't be carrying the starter's load any longer, just the load of the rest of the truck. Either way, making these changes will ensure that the fender-mounted relay only has to provide enough current to pull the PMGR starter's relay in, thereby dramatically reducing the load on the fender-mounted relay. So, let's see how that would look in reality. My truck called Big Blue has had a PMGR starter installed, but whomever installed it did not take advantage of the starter's internal relay. 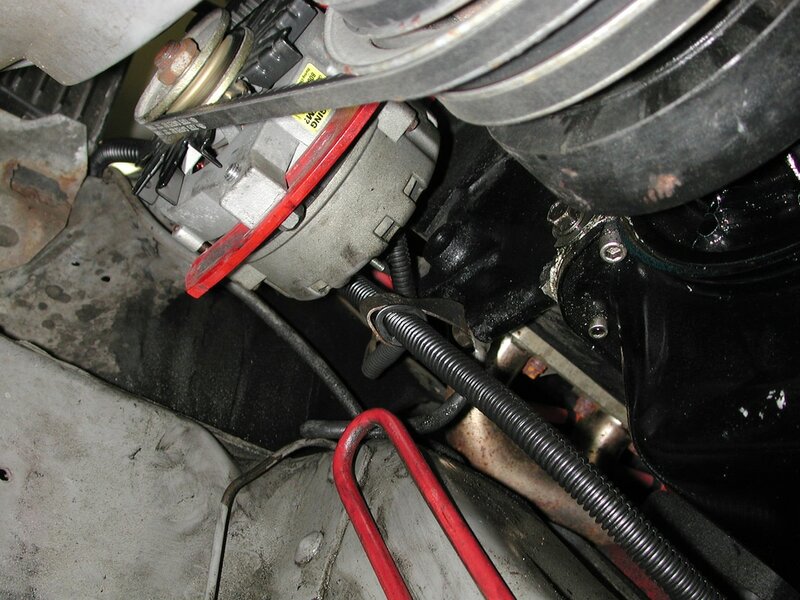 As shown in the picture on the left, below, the fender-mounted starter relay has the battery cable on one side and the starter cable on the other. So, when power comes in on the Ignition Switch wire the relay bridges the Battery Cable to the Starter Cable terminals, sending power to the starter. In the picture on the right, the other end of the Starter Cable connects to the big terminal on the PMGR starter. 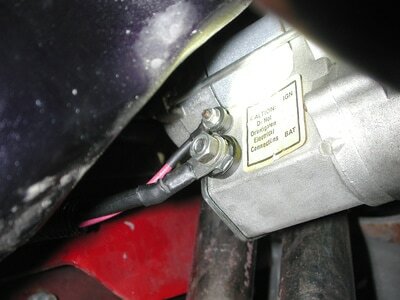 But, in order to pull in the internal relay within the starter there's a jumper from the big terminal to the small terminal, so when power comes down from the fender-mounted relay the relay within the starter is pulled in and connects the Starter Cable's power to the starter. 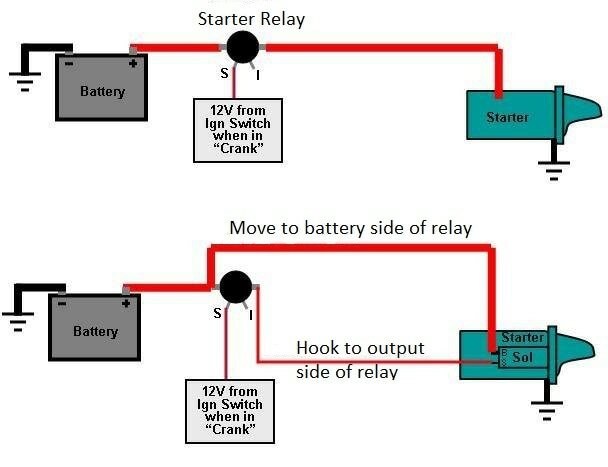 In other words, both the fender-mounted relay and the PMGR starter's relay have to carry the full current of the starter. But, with a bit of wiring we can use the fender-mounted relay to just pull in the starter's relay, thereby significantly reducing the load on the original relay. 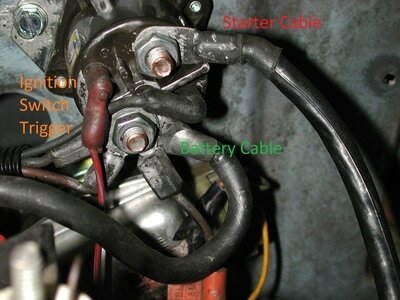 In the picture on the left, below, the Starter Cable has been moved to the same stud as the Battery Cable, meaning that it is now always hot. Then a #10 wire, called the Starter Trigger Wire in the picture, is run from the output terminal on the fender-relay down to the starter's relay terminal, as shown in the picture on the right. Now the fender-mounted relay only carries the current required to pull in the starter's relay, so it should last forever. And, the new wire is run in convolute with the original Starter Cable to protect it. In my case the original convolute was too small to take both wires, so I used a larger convolute and ran it through the grommet and stand-off the cable originally went through to ensure it doesn't come to grief. After all, that starter cable is now hot at all times.